So my father and I took a trip down to bowling green this past weekend to hit up Beech Bend. It had been like 13 years since I last visited the park! So I was excited to see all of the changes. But to be honest, not much has changed since I have last been there. The biggest change being to the water park. Which they have actually done quite a bit to, and I can understand why, that place was packed! It was neat seeing all of the things that I remembered from the time I had went before. Its always cool to see things again as an adult, and to see how differently you viewed them as a child. The biggest change in the dry park was the removal of the Looping Star. The old Pinfari ride has been moved elsewhere, and probably was getting pretty rough. So honestly nothing lost in my opinion. Now there is a tea cups ride and a Zamperla Air Race model in its place. 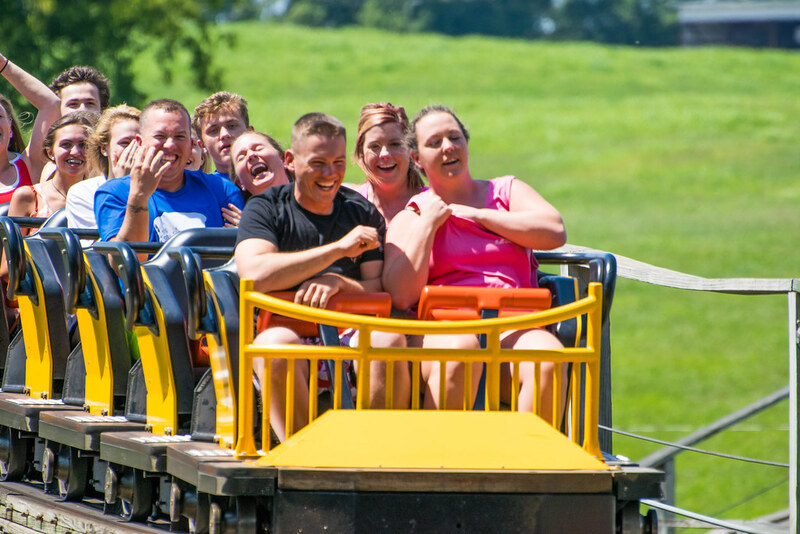 The biggest reason for any enthusiast to go to Beech Bend is to ride the Rumbler! I could not ride, but Kentucky Rumbler is still running just as great as it use too, according to my dad. So that is excellent news! I usually take in to question just how much a small park can keep up with maintenance on a bigger roller coaster. But it is still going strong, and I commend Beech Bend for that! Another thing that I wanted to do while I was there, was ride the haunted house! I absolutely love stuff like that. Any kind of older dark ride, I am all for. On my first visit, I was actually scared of it, so I didn’t ride it. I am so glad I finally got to ride it, it was great. I just really enjoy corny stuff like that! As I mentioned above, I was super impressed by the water park, Splash Lagoon. The last time I visited, it was merely just a kiddie pool and one slide tower. Now they have multiple slide complexes, and have just expanded their water park in ways I would have never even thought. The lazy river really looked like lots of fun, with it being connected to the wave pool, there were a lot of waves in it. So really maybe it really wasn’t that lazy of a river, haha. So they are seeming to really focus on Splash Lagoon, which is really nice for people that live close. So that way on hot days, they can go and cool off! Also mentioned that the other parts of the dry park really haven’t changed much; And its true. The rest of the park, is about the same as when I visited as a kid. So everything was very familiar. So I was happy to see some of the things I can remember from my childhood. I also wanted to mention, that we ate at the Rumbler Cafe. It was actually pretty decent, and it was fairly priced. So I was happy to see that Beech Bend is still keeping to their small park type of business model, and offering cheaper options. I will say the Beech Bend definitely knows their demographic of people who visit the park. No complaints in the value for money at the park. So to wrap up the visit a Beech Bend. I just want to say that I think it is a very nice small park. I have been to a lot of small parks in recent years, and I think that Beech Bend is right up there with those parks in terms of value for money. Which to be honest, is the main business model of any park like this. To attract people that may not want to spend that much money taking their kids to the park; Or maybe just want to go to the water park and relax, and not have to pay a fortune to do so. 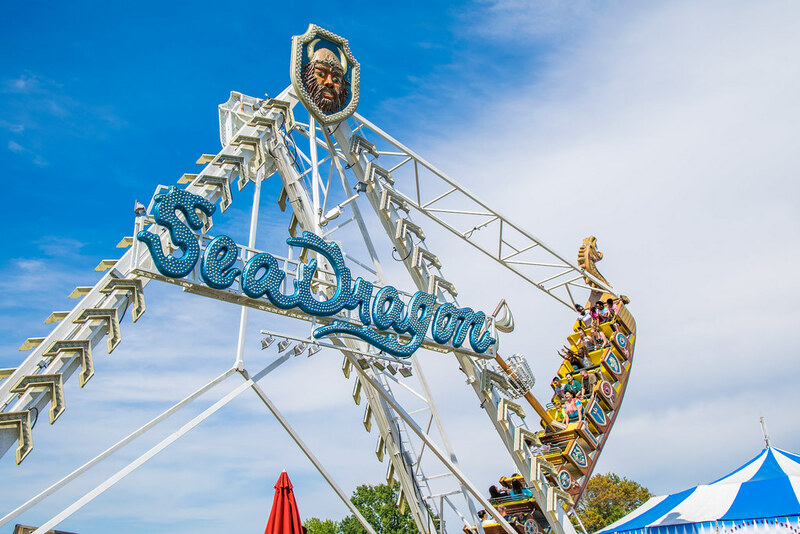 I would definitely consider Beech Bend a family park, and I would say even some what of an enthusiast hidden gem with the addition of Kentucky Rumbler. So I would definitely recommend this park to someone who has not been there for awhile, or just a family that is not wanting to spend a lot of money for a fun day at the park. So on Sunday, after our visit to Beech Bend on Saturday. We decided to stop by Mammoth Cave on our way home. We scheduled for an early morning Frozen Niagara Tour. It was about an hour total, and it was a very simple tour, but very good value for what you get to see. 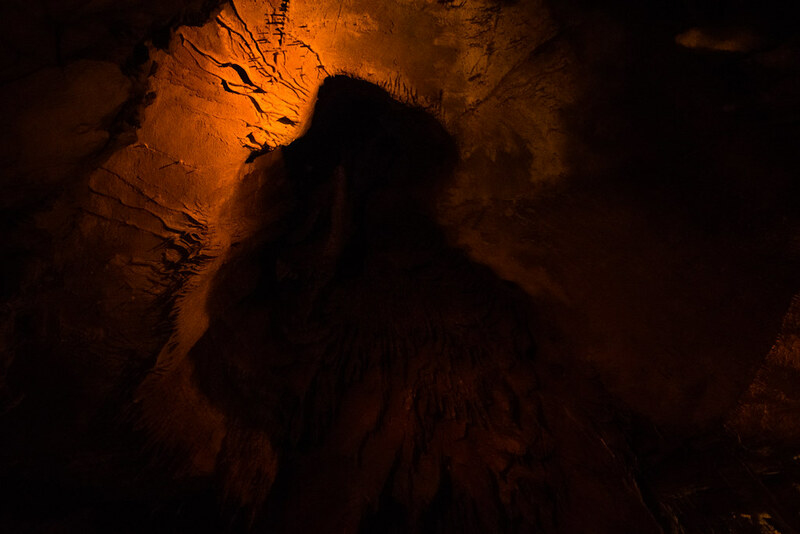 I really enjoyed seeing Mammoth Cave. Especially being inside one of the main tunnels, it is so much bigger than you would think. I really enjoyed seeing all of the natural beauty outside of the cave as well. We also took a little stroll down the the natural entrance of the cave. The entrance we took on our tour was a man made one. So it was was awesome to see the historic natural entrance. I always like seeing nature, and albeit the tour was short. I think I got my fill and definitely got to see some natural beauty I would have not gotten to see otherwise. I love to see places like this conserved, and maybe will I see even more of this place in the future. But for now I am very happy with the tour we took, and I want to say you should take one too. The Frozen Niagara tour is the easiest tour they have available, and I think that most people will have no problem going on it! So I highly recommend it, and its always good to go out and get to see something new. You may have seen this many of times of TV, or the internet, but it can’t compare to the real thing. So happy I went on this tour and I think you should too, even if you are the slightest bit interested. Just do it, you wont regret it! So in conclusion, I had a pretty great weekend. I always love to travel, and do new things. Seeing new places, and doing things that I have always heard about, but never done. So I am happy to report a good weekend took place. And I hope that you will continue to follow me on some more of my adventures. Video will soon be out on my YouTube channel for Beech Bend. So make sure you check that out if you are interested. Thank you for reading, and please have a wonderful day! Previous Post 8/16/2017 Announcements Recap! Next Post Six Flags 2018 Announcements!